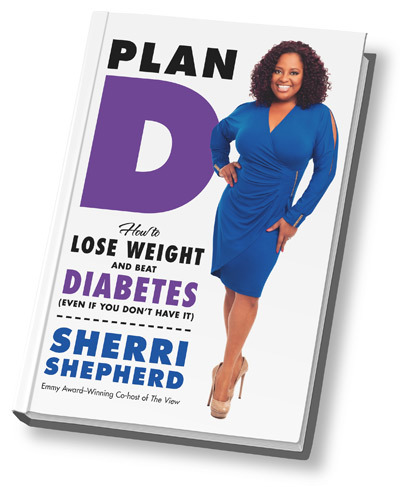 Sherri Shepherd | HarlemGal Inc.
Harlemites, listen up! Don’t forget to watch ABC’s “The View” today, Wednesday May 22nd at 11:00 am. 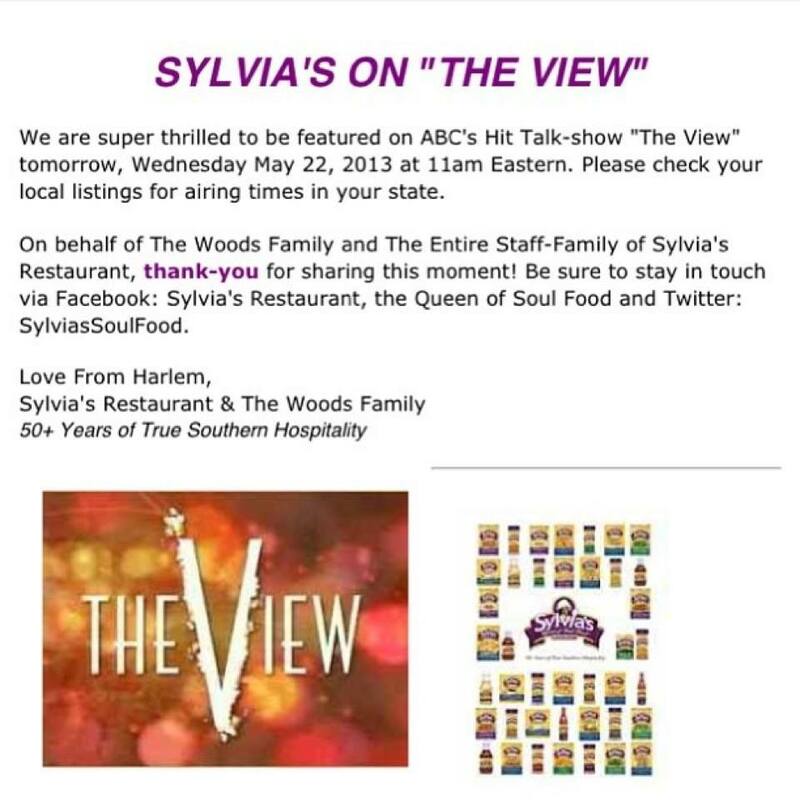 The entire staff of Harlem’s famous Sylvia’s Restaurant will be on, along with the Woods Family. 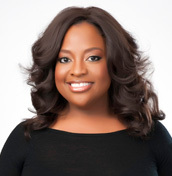 Hopefully, our former Harlem Gal and co-host of The View Sherri Shepherd will be leading this interview. And congrats to our Sylvia’s on their big TV interview on The View! A HarlemGal reader recently left a comment saying Sherri Shepherd, comedienne, actress, and television personality of ABC’s The View, is not residing in Harlem anymore. My reaction was WHAT! I just saw her online mentioning she’s hanging at the Corner Social in Harlem. So I followed up with the lovely and funny Mrs. Shepherd-Sally to see what’s up. Shepherd confirmed via direct message on Twitter that she and her family (Lamar and Jeffrey) moved to New Jersey three months ago. But before I explain why Shepherd had to move from Harlem, let me quickly point out that Shepherd unequivocally stated that she and her husband Lamar love Harlem and find it to be “a great community and plan to return in a couple of years.” They had an unexpected situation arise and had to react. I believe Sherri Shepherd and her family will return in the near future to live full-time in Harlem. Why? As an influential celebrity, she could have easily avoided my request. Shepherd responded in a timely manner and took the time to explain what happened. She was crystal clear in her communication. In my view, this is an example of a Harlemite who deeply cares about the community she lived in and still loves by personally taking the time to communicate what happened. Why even bother explaining to a Harlem blogger? But Sherri did. As to what happened that caused Sherri, her son and her husband to depart Harlem, it’s a typical New York situation. Shepherd had been renting a beautiful Harlem brownstone for almost three years. Her landlord gave notice that they planned to move back into the property and gave Shepherd 30 days notice. Shepherd and her husband looked at other places in Harlem because they wanted to stay, but given the time constraints they did not find a place they wanted within their budget so they moved to New Jersey for the time being. That’s it folks! That’s what happened and it happens to most New Yorker’s at one time or another. Shepherd maybe living in NJ for now, but she has been taking the time to return to Harlem weekly. She visits the Corner Social on Lenox Avenue and 126th Street once a week and she visits Elsie’s Caribbean Cafe twice a month. Her heart is still in Harlem. Let’s wish Sherri Shepherd and her family all the best with this change and pray for a speedy return back to Harlem. Amen! Harlem resident and The View co-host is no longer a single Harlem gal. 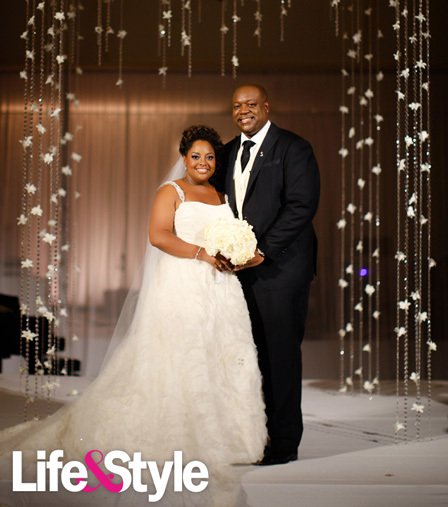 Sherri Shepherd, who lives in a beautiful brownstone in Harlem, wed boyfriend Lamar Sally this past weekend. She shared details of the days leading up to her wedding day, August 13, on twitter. Sherri even teased her followers, which this blog site is one of them, about what her wedding dress might look like before the big day! According to a celeb blog site, Sherri Shepherd eventually donned a custom Rivini gown to marry boyfriend Lamar and only one gossip magazine has the pics. Sherri looks great in the photo! Congrats to Sherri and Lamar! And hope to see the newlyweds in Harlem soon!